These words from AdAlta Scientific Advisory Board member Dr John Westwick summed up AdAlta’s third annual Special Investor/Analyst Briefing held on January 31, 2019. Check out the short highlights video to see why these pharmaceutical veterans believe that AdAlta’s lead program, AD-214, has the exciting potential to meet all of these three key criteria. With AD-214 moving through final preclinical stages before entering clinical trials in 2020, the day focused on the pathway to drug development and brought together a range of medical, scientific and pharmaceutical experts. 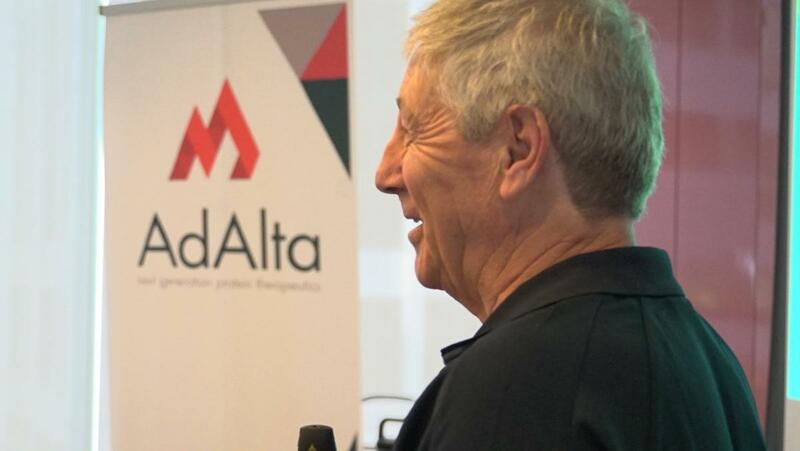 Investors and analysts also heard about AdAlta’s progress as well as the need for new IPF treatments and the benefits of investing in Australian biotechnology companies. It included a panel session on ‘What a good drug looks like‘, an often under-appreciated topic when developing a new therapeutic. A highlight of the day was hearing from Idiopathic Pulmonary Fibrosis patient Bill Van Nierop. Bill discussed the impact of IPF and his tremendous efforts to raise awareness of the disease – one that kills more people in Australia than breast cancer but “gets no mention, anywhere”.